International Women's Day, observed annually on March 8th, is a day to honor and celebrate the influential women in our lives and throughout history - from business to politics, to athletics to philanthropy, to celebrity. It is also a time to celebrate the amazing women we interact with on a daily basis and to express our respect, appreciation and love. Thank those that have made a difference in your life on this special day! I know… I know… Winter in New England seems endless but really there is a bright spot of sunshine just around the corner. For Bostonians, the spring season is a reminder of how beautiful the rebirth of the earth truly is and the importance of celebrating that miracle once the warmer climate arrives again. For many of us, this time is an opportunity to get outside and plant our own miracles into our freshly thawed gardens with the hopes that very soon, we’ll see flowers rebloom in the months ahead. The month of March might seem too early to get our trowels out of the shed but there’s no law against making a plan of what varieties may spark our green thumb interests. As you know, spring species are very different from the hardier varieties that flourish during the summer and because of this, it’s important to think ahead so you’ll be ready for April, May and June crops. Many gardeners will use catalogs or perhaps stop over at their local nursery to see what will be in stock as others rely solely on the breeds they’ve come to depend on year in and year out. If you are looking to change things up a bit in your flower beds, here’s a list of both old and new spring blooming species that are already turning heads! Ruby Moon: This is a wild take on the traditional hyacinth bulb because it is grown by seed and looks more like a vine than the typical cone shape you often see. Pretty lavender flowers shoot out from the stem, which appears more branch-like than the thick base you are used to. Nimbus: Sweet Peas have always been one of my favorite spring blooms and I can’t say that I’m partial to any particular color since they are all stunning. 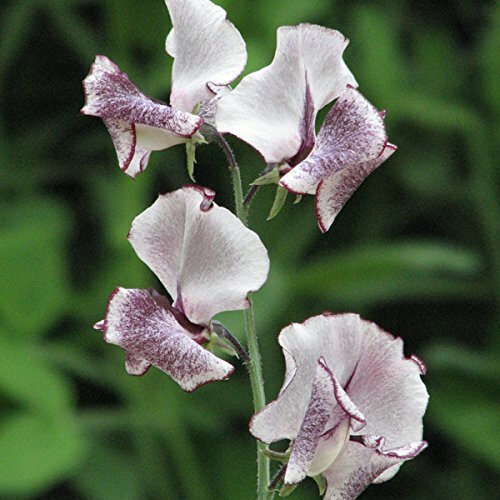 I did find this new variety called “Nimbus” which just might change my mind and there’s good reason… This type of sweet pea is multi-colored with dark purple and white- a variegated dimension of the regular straight purple or white. You can mix these with any other flowers you have growing or plant a patch to make a striking effect. Merlot Red: Just like the name says; this scabiosa variety is very similar in shading to a glass of dark red wine and boy, is it spectacular! You don’t often come across a breed like this in New England so if you happen to stumble upon it during your next greenhouse visit, grab them while you can! Copper Image: If you’re into peach, you’re going to love this new double pink variety that resembles closely to a garden rose. These beauties are trending to be designers top pick in 2018 and there’s no doubt as to why… Copper Image tulips are not only breathtaking to the eye but are also effective as a filler in sparse areas of your garden. In a couple of weeks, my favorite holiday of the year will be here; a day filled with celebration, joyous friendship and an awful lot of hope for LUCK! Yes, St. Patrick’s Day is on March 17th and although the festivities originated in Ireland to honor the death of Saint Patrick himself in AD 385–461, you don’t have to be Irish to scream “Erin Go Bragh!” when the occasion arises. For many of us Bostonians who are fans of cabbage dinner, dancing a jig and finding a pot of gold at the end of the rainbow, we’re looking forward to this special day and are planning to whoop it up in some way or another. For college students, it’s a pretty safe bet they’ll be filling the pubs to toast the holiday but for others who might enjoy a close get together; they’ll need to come up with a lively menu as well as decorations. The food’s the simple part since you should be leaning towards traditional feasts of corn beef and root vegetables. Accessories such as green and white streamers, faux pieces of gold and paper clovers to hang on the wall are also pretty s standard and available at local party store outlets. The tricky part, on the other hand, will be the selection of flowers for your serving table and hosting area where guests will be entertained. Don’t think for a second this is a minor detail that can be cut from the budget to save a buck because they’re actually extremely significant to Irish customary rituals associated with St. Patrick’s Day. 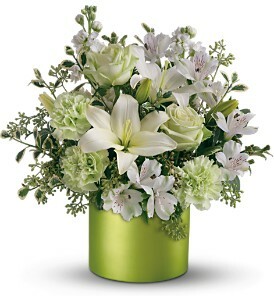 amrock is the national emblem and flower of this European country and it’s stunning foliage of leafy green hearts make it the perfect bloom to incorporate within arrangements. Not only is the small bud delicately beautiful in appearance, but the 4-leaf clover also symbolizes hope, faith, love and luck. You can utilize this fact by gifting guests with small pots of clover as party favors. 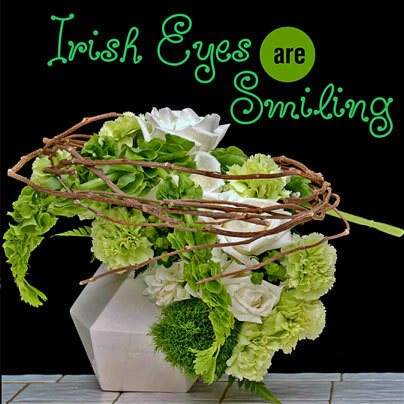 Other varieties that are perfect for your March soiree are Bells of Ireland, Green Goddess Callas and green roses, which are readily available during this time of year from florists. You might want to also think “blue” as a possibility since this was the original color representing this annual celebration. Species such as blue delphinium, bachelor buttons, scabiosa and iris are splendid options that will bring authenticity to your bouquets as well as add a brilliant and fun pop of color. International Women's Day is celebrated throughout the world every year on March 8th. The Day traces its beginnings to the early 20th century as a result of the socialist movement. The holiday recognizes the social and political struggles that women have faced for centuries. It is also a chance for us all to show women how much we respect them and appreciate them. The holiday stirs more emotions in some countries than others. 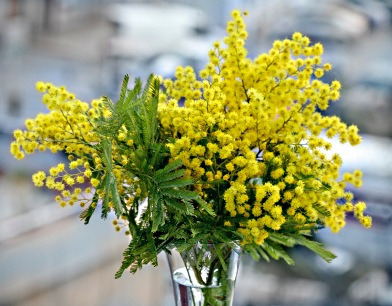 The custom of giving the mimosa flower can be traced back to Italy around 1946. The flowers were intended to be given as a sign of respect and the mimosa's symbolism rivals that of a red rose on Valentine's day. 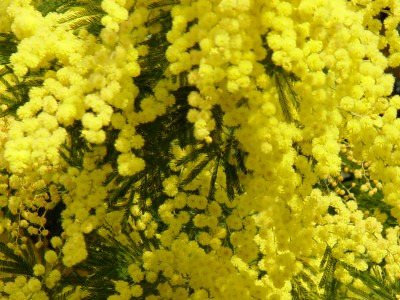 Mimosa's origin can be traced back to Australia. It arrived in Europe around 1820. The plant is quite invasive and should not be placed too close to other plants. 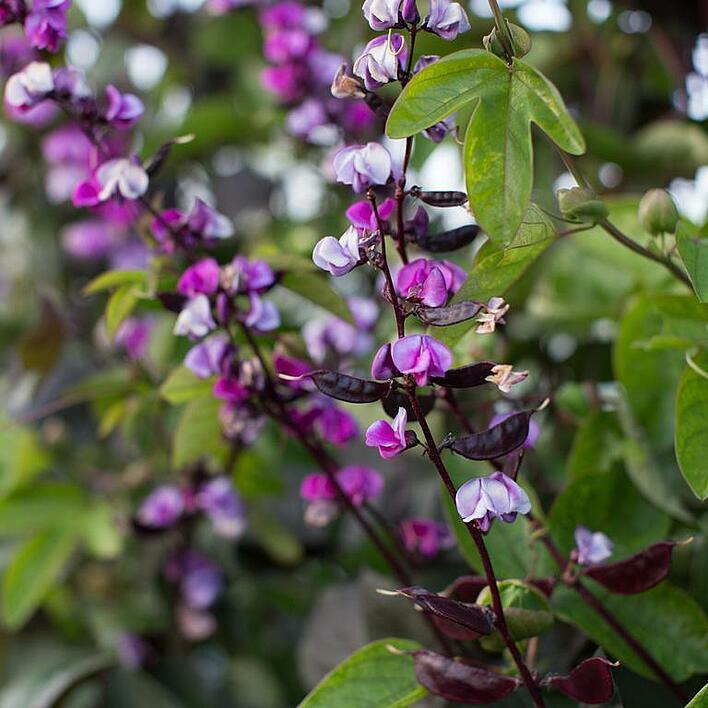 Its blooms are often harvested for cut flowers, honey and oils for perfume. You may recognize the blossom at the premium cosmetic store, L'Occitane en Provence. Many clients from Russia, Eastern Europe and Italy will often call or email to check on this fleeting flower's availability for March 8th. 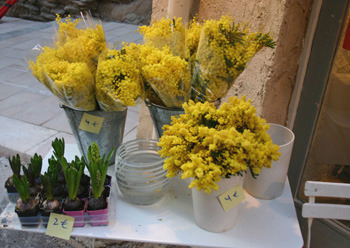 Mimosa has a lovely scent and Exotic Flowers in Boston will have Mimosa for sale on International Women's Day. I don’t know about you, but I’m already getting the itch to start my indoor seedlings even though there’s still snow falling on the ground! For many New Englanders, this is a common frustration since we know that planting too early in the spring season will not cultivate a healthy crop once it is transferred outdoors. Plants like tomatoes, cucumbers and peas are perfectly ok but for other species, it can be a problem. While the average time to begin this process is usually the middle of April, you’ll be glad to know that there are actually a few varieties of vegetables that will do just fine if not benefit from a March potting. Usually, these types are typically those that take a prolonged period of time to get going, which is an important variable to learn about when selecting your seeds. 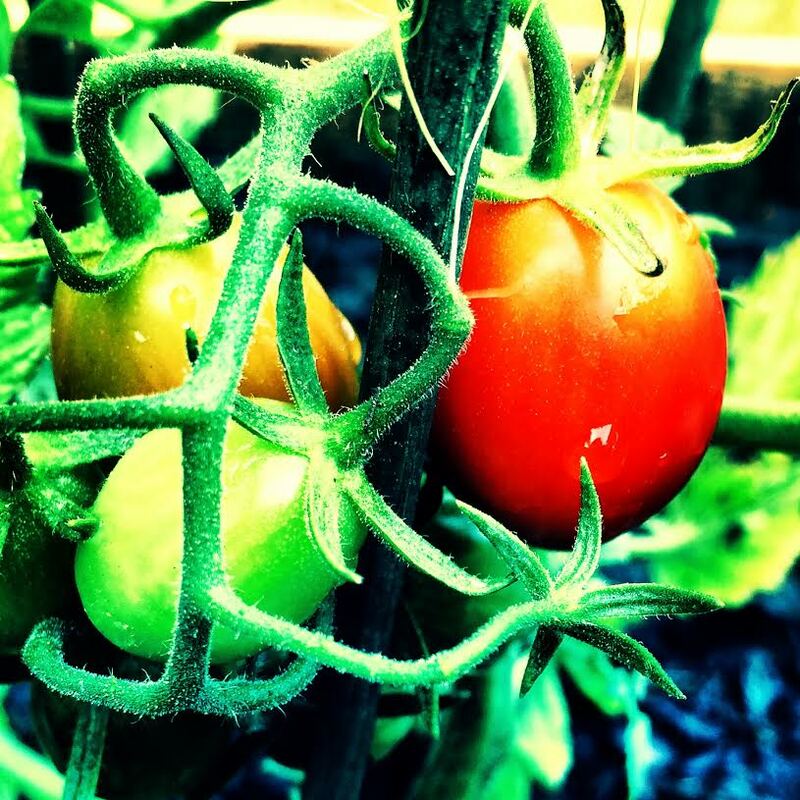 Since we must keep in mind the temperature constraints of our climate having such a short summer season compared to other southern states, veggies that take four to five months to mature with fruit almost have to be planted indoors way before the normal gardening season. Fussy produce such as peppers, corn, cauliflower, celery, garlic, onions and eggplant can be challenging for Boston green thumbs so getting a jump on these before April will be helpful. And why not? It only takes a few basic things to get started! All you have to do is find a warm and sunny area of your home and set up camp! Select your seeds from either a catalog or store and then grab an empty egg carton or potato chip container. 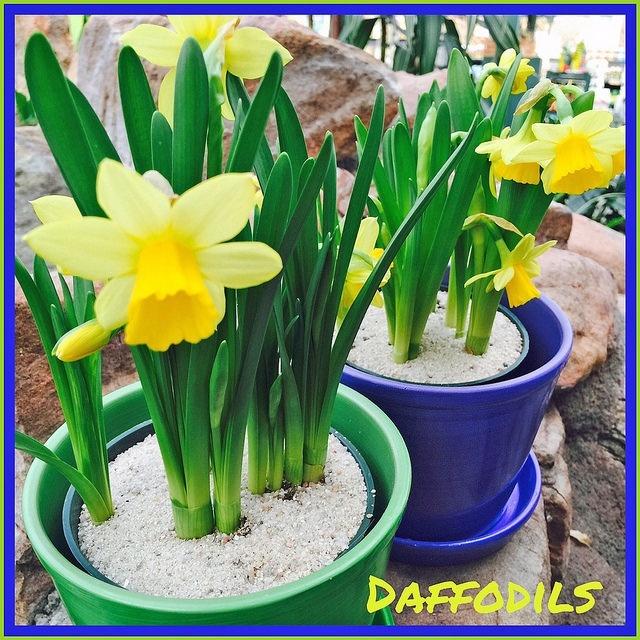 They might not seem like it but they are excellent for nurturing organic soil because both materials encourage growth and moisture. Finding a radiator in close proximity will also give your seeds a nice little push as well since an added bit of heat can trick the seeds into thinking it’s summer. Water as needed and let them do their own thing on their own time until the stems are at least two to three inches in height. When they get that big, they are ready to be transplanted into your garden. That is, if the earth has warmed enough to be adequate for growing. If the ground is still frozen, you’ll have to wait a bit longer but don’t worry because the seedlings will do just fine inside. March Madness begins on March 15th with NCAA teams racing down the courts to become the number #1 college basketball team in the country! While some of you will participate office pools and placing your wagers on hopeful winners, some fans will be showing their spirit in other ways as they anxiously await the beginning of one of the most exciting sporting tournaments of the year. Have you made your plans on how you will be watching who makes it to the Final Four? 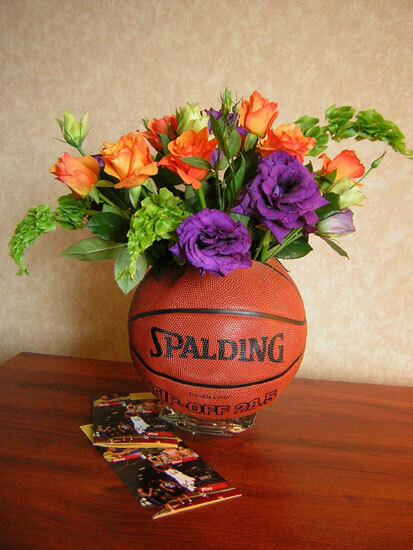 For those of you who are planning to watch the games while having a get together, choosing the perfect decorations to accessorize your March Madness party is a top priority! 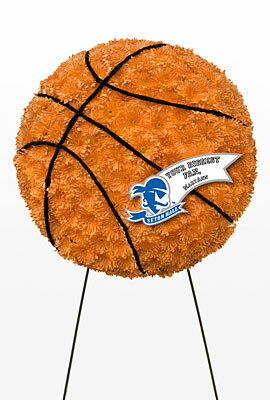 Hang banners in the colors of your favorite teams, select party platters and bowls in the shape of half moon basketballs and you’ll need to devise a menu that compliments the occasion such as serving nachos organized as a basketball court, basketball cupcakes or veggie platters organized in a circle of orange carrots with green peppers to form the stitches. 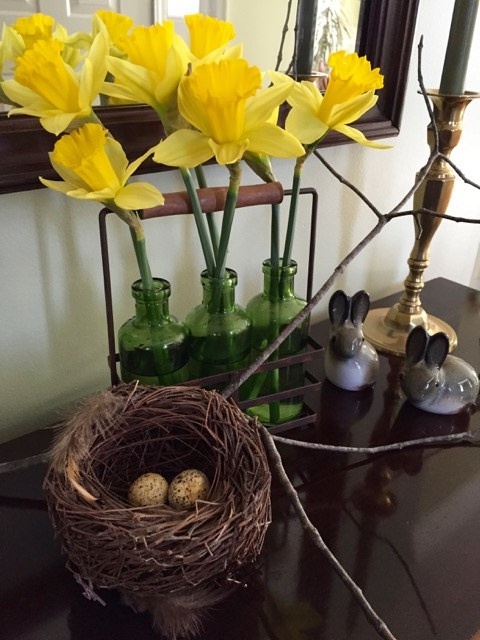 The month of March is a special time of year for New Englanders because (if we’re lucky) spring is right around the corner. It’s the season for rebirth when the soil turns soft and warm allowing new life to begin as the bitter coldness of winter slows ebbs away. 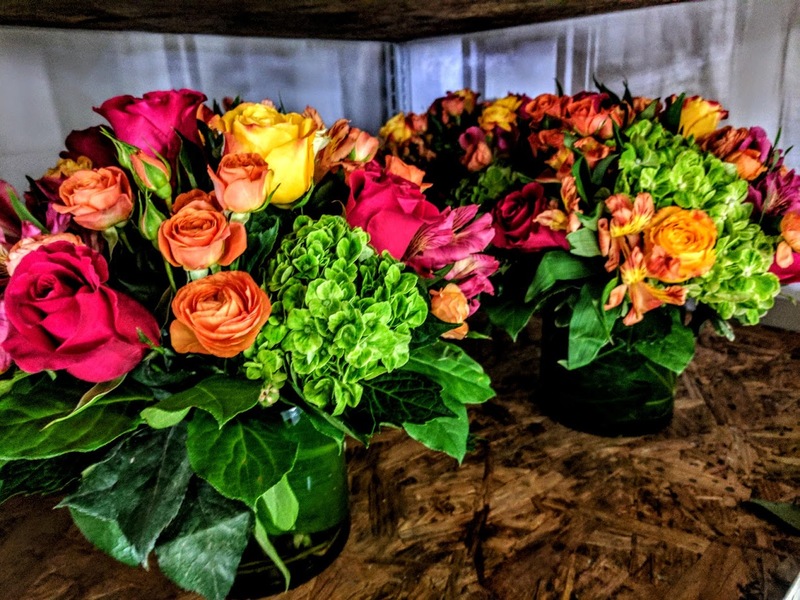 For Boston florists, this means it’s time to change up their product inventory with a fresh palette of color that mirrors this theme of growth and renewal. Typically, you’ll find that there is a strong influence of peach, pink and lavender that infiltrates arrangements as well as flowers belonging to the pastel side of the spectrum. What is interesting about the color transition is that more than half of the pieces designed include a heavy presence of green, which is otherwise infrequently utilized as often in other traditional design templates. 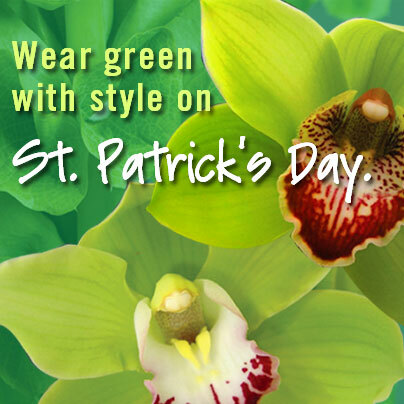 In the floral industry (and many others) the pigment green is symbolic towards expressing life and youth, a combination that we look forward to each year when March returns. Since we are quickly approaching spring in Boston, it’s important to begin planning our list of flowers that yield the shade of green so that we are suitably prepared for the exciting adaptation. Do any blossoms come to mind? 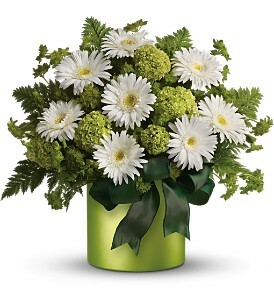 Be honest… Who of you instantly thought of green carnations? 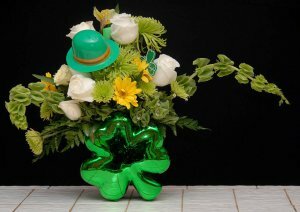 Believe it or not, there are other options available to you besides the infamous Saint Patrick’s Day bloom. 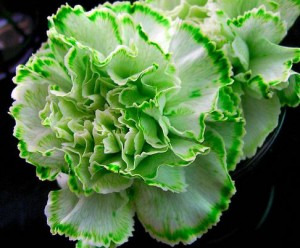 There’s nothing wrong with being impartial to this variety but you should be made aware that several different species exist that develop in a beautiful array of brilliant to soft greens within their petals. Here are a few of my favorites!